How the Fudge do you decide WHAT to write?!?! So for a while- like, forever, Ive always written for the ages between 16-22. Basically upper young adult. Eventually, the slightly older than that became New Adult. So, Power and the Descendant Trilogy is probably more accurately NA books. Though when I started writing it, and as I continued writing it, I thought it was just older YA. Now, my Empyrean Chronicles is definitely YA. Earlier this year, my daughter's biological father was in a car crash and died. But despite that... she remembered those two year when he was in her life. And she understands (she's 10 years old) what it means that he died. That she'll never really know him, never have a relationship with him. While she has my husband, who has been a great father to her, and they get along and love each other. She will always know, and FEEL, and understand that her father died. As such, And because she had been asking me for years to write a book she could read (she doesn't read my other books because she doesn't need to be reading in kissing stuff yet! ), I decided to start a book for her. Weird came out of that. It didn't end up being the story I originally wanted to tell. Because I didn't want the end to be as devastating... and instead give some hope. So it was a story that touched her. She laughed, she cried. she was totally freaked out in some parts (Life lessons, people. Kids need to be aware of stuff, even if it freaks them out) and she loved it. And that's ultimately what i wanted. But now... as the second book of the Empyrean Chronicles was just released, and people are reading the first book, and the third book is up for preorder, and I'm SUPPOSED to be writing the fourth book... all I want to write is a new middle grade book. I wrote Weird FAST. Like super fast! Thats the absolute fastest I've ever written a book... EVER. I did write the majority of the first draft of Enchanted Revenge (Empyrean 1) during a Nano... but it was SO very a rough draft! And I had to revise and edit it for like... a year! And Enticing Violence was about a year too, from first letter to final product. And that - not instant gratification, but closer to instant than a year- is intriguing. It's exciting! And encouraging. Plus, I want to write more books Dani (the 10 year old daughter) can read. So, like i said, a nagging story in my head, that I really want to write, but have no idea how to. I don't know the story - And people, I am NOT a pantser. I outline- not extensively, but enough that I know the middle, beginning, and end. So, attempting to write a story out, when I have no idea how it will go, or who the bad guy is, or why the bad guy is a bad guy, or even if the good guy wins...Yeah, I can't do it. BUT STILL- it nags me. The issue- I had this problem before. I was supposed to write The Descendant Trilogy 3 but I had this nagging story about a girl who finds out she's a fairy (haha ) And I decided to write that one, instead of the last Descendant Trilogy Book... and now I still havent written that. When I first wrote this post I ended it with *I need to write Enthralling Retribution, but I wont yet. Im going to write the MG book. no time to write ANYTHING. And when Nano started, I forced myself to write SOMETHING, and that something ended up being Enthralling Retribution (Empyrean chronicles 3). So, I changed up the post some. Because it is all still relevant. I am constantly trying to figure out what to write first... or more accurately, what to write RIGHT NOW. But I think the deciding factor for me this time, was that I dont want to NOT end the story. and Im afraid if I start a new series (the MG will be a series this time) that I wont finish this one. I'm editing Enthralling Retribution now, and I will write the fourth book next before I start any new series. Thats not to say that I wont have another book come out before the end of the Empyrean Chronicles 4. It just means I wont WRITE any book before Im done with these 4. Alright- This was a super long post. If you read ALL of that, you're awesome! If you are a writer, tell me, how do you decide WHICH story to write at any given time? Obsidian was the very first book I ever read from JLA. I have since read all of her books and LOVE them all! but the Lux series has always had a special place in my heart since it was the first. 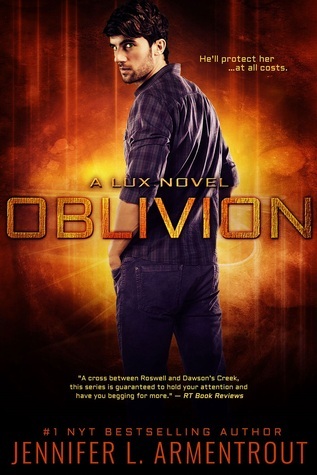 As soon as I found out about Oblivion, I totally preordered it and have been waiting (Completely impatietly) for Dec 1 to get here so I could read it! And guys, its so freaking amazing!!! Yes, if you read the LUX novels, then you already know whats going to happen, but thats ok. Its really better than okay, because now you get to understand why Daemon is the way he is, why he does the things he does. And its just beautiful and amazing. If she wrote the rest of the books in the series in Daemons POV, id totally devour those, too!